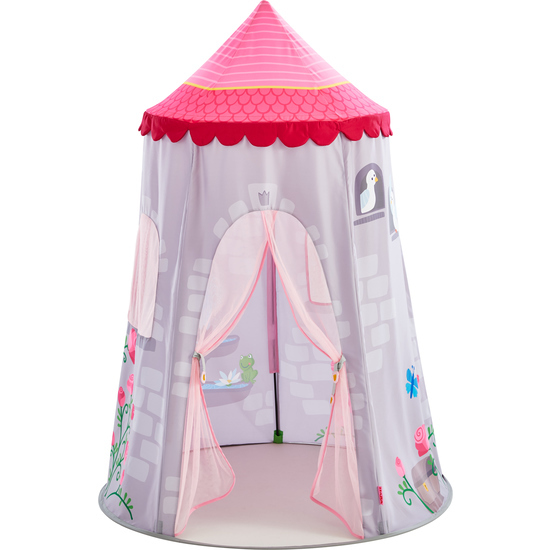 This play tent is a nice retreat for younger fairytale fans and a great private place in which to play, daydream and relax. At the same time, the window and the mesh curtain at the door keep them in contact with the outside world. Ready for self-assembly. Floor mat not included.